Our world is always changing its mind about what is Truth. Where can we find Truth? Is it different for every person? One day the world says something is bad and the next it says that same thing is good. What was once popular suddenly gets thrown aside. Laws are rewritten. History books changed. How are we supposed to know what is true? In the midst of our noisy world, God calls us to trust in Him and His Word. God’s Word is a rock we can stand on while the people around us constantly shift what they call truth. Just because something is unpopular doesn’t make it untrue. God calls us to be lights in our dark world calling people to His Truth that never, ever changes. In Daniel’s day, following God’s Word wasn’t the most popular thing to do. He was living in a foreign land filled with foreign gods under the authority of a foreign king. Daniel didn’t care about fitting in with those around him and chose to love and serve God no matter what. When faced with a choice to obey the king’s laws or God’s laws, he did what he always did. Daniel chose to follow God, even if it got him thrown into a den of lions. Daniel had no power to save himself. Not even the king could save Daniel… but God could! 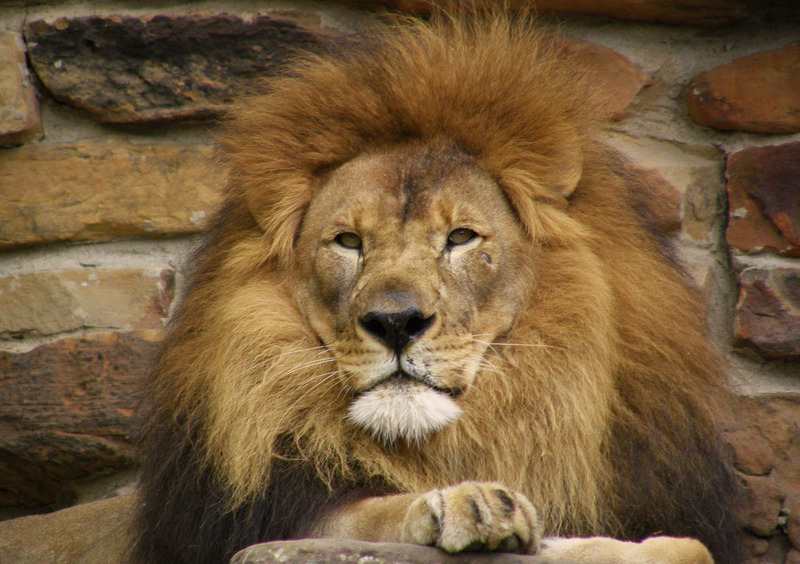 God showed that He was more powerful than Daniel, the king and even the lions. God rescued Daniel and showed all the people of Babylon He was the one true God. His Word had never changed and it never will. We can trust God and His Word no matter where we are, no matter when we are, and no matter what is happening around us! Read Daniel 6. What was more important to Daniel, God’s Word or following the rules the king made? How do you know? Did Daniel have the power to save himself? How did God show His great power through Daniel and his circumstances? How was He glorified? What similarities do you see between Daniel’s day and the times we live in now? When are you most tempted to believe that God’s Word is “out of date” or not relevant to your life? Will our lives always be easy if we stick to God’s unchanging Word? What promises of God can you remember to help you when times get tough? Use this week as an opportunity to talk to your kids about how the world and God don’t always agree on what is Truth. Have your kids find some headlines (or choose some for them) about things going on around the world this week. Talk with them about what the world says about what is happening. Discuss what God’s Word has to say about these headlines. If they were in these circumstances, what Truth from God’s Word could they rely on to be consistent? Have everyone in your family write down different places in their lives where they have to make a choice between following what the world says and following what God’s word says. Two at a time draw out these different places and role play what might happen and how you could respond. For example: the situation may have one kid on the playground while others are gossiping about another kid in class. What would you say? Another example: you are asked to bend the rules at work or in class in order to get a better outcome. What do you do? What truth from God’s Word would you trust in this situation? You will need paper, tape and flashlights. One night this week write out words and/or phrases from our memory verse, Psalm 119:4-6 on pieces of paper. With your kids out of the room, hide the words in different places around the room (on walls, furniture, ceiling, pictures). Turn off all the lights in the room and make it as dark as possible. Give your kids flashlights and have them try to find and collect all of the words from the memory verse in order. Talk with your kids about how they can be a light in a dark world pointing people to God’s Word. Thank God for His never changing Word in a world that keeps changing what it thinks is truth. Ask Him to help you cling to His Truth even when it’s difficult and the people around you try to change you. Thank Him for the promises He has made and will always keep, no matter what! Next week we will be reminded that God is faithful despite our failures. Just like Israel, we will be inconsistent but God consistently keeps His promises. The post Even in our inconsistent world, God’s Word always remains the same appeared first on Watermark Community Church Blog.